The Australian Centre for Field Robotics (ACFR) is based in the School of Aerospace, Mechanical and Mechatronic Engineering at The University of Sydney, and is dedicated to the research, development, application and dissemination of autonomous and intelligent robots and systems for operation in outdoor environments. The ACFR is one of the largest robotics research institutes in the world and has been instrumental in developing breakthrough technologies and in conducting world-leading research and development of field robotics principles and systems. Mining constitutes the backbone of the Australian economy. While several job sectors have experienced a decline in recent times, the demand for qualified people in the mining industry remains strong. Rio Tinto is a world leader in mining and has an extremely strong presence in Australia. Rio Tinto has also been at the forefront of mining innovation. The Rio Tinto Centre for Mine Automation (RTCMA), established within the ACFR is mandated with the task of automating all aspects of a mine’s operations. A significant component of the RTCMA’s activities involves innovating new ideas and concepts that are relevant to the overall objective. The RTCMA invites applications from interested students to be a part of this mining innovation endeavour by working with us towards a doctorate degree. Your scientific contributions are intended to change the shape of Australian Mining and will create enormous impact for Rio Tinto and Australian Mining (potentially valued in millions of A$). You will have access to unprecedented resources towards realising your scientific objectives. Open to learning new techniques and approaches including machine learning and multivariate analysis. These positions are open to domestic and international students. Rio Tinto Centre for Mine Automation scholarships are potentially available to exceptional students. Top-up scholarships valued at approx. $5,000 are available to successful APA and IPRS scholarship applicants. The total scholarship is valued at $28,715 (2012 rate) per annum (tax exempt) and may be renewed for up to three years, subject to satisfactory progress. Expressions of interest should be sent to Ms Lisa Hunter-Smith, Australian Centre for Field Robotics, The Rose Street Building (J04), The University of Sydney NSW 2006. Tel: (02) 9351 7126, Fax: (02) 9351 7474, email: lisa.huntersmith@sydney.edu.au and should include a CV and academic transcripts. 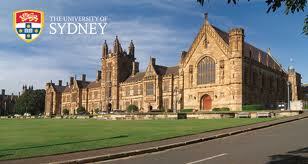 Demikianlah artikel mengenai Rio Tinto PhD Scholarship in Mining Automation, University of Sydney, Australia Semoga Bermanfaat Bagi Anda.